Three more New Jersey poker sites will be joining WSOP and 888 in allowing Neteller as an alternative payment option. Since its inception in November of last year, New Jersey’s nascent iGaming market has been plagued by issues, the most glaring of which is its players’ inability to successfully deposit funds onto their preferred site. Specifically, those attempting to deposit with either a Visa or MasterCard often find that the issuing bank rejects their transaction. 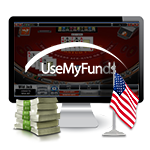 The problem is that credit/debit cards are among the most convenient and widely used vehicles for loading funds onto an online poker site. Unfortunately, some banks have yet to acknowledge the presence and/or the security of NJ’s newly-minted regulated gaming market, in turn refusing to amend their anti-gaming policies. In lieu of this, New Jersey’s poker sites have begun offering alternative payment options. In December, Partypoker and Borgata began offering the e-wallet Skrill, followed shortly thereafter by Ultimate Poker’s decision to allow Pay Near Me transactions. More recently, WSOP and 888 forged an agreement with Optimal Payments to bring Neteller back to the regulated gaming market. And now, it appears that Partypoker and Borgata will be following in their competitors’ footsteps by also allowing NJ-based poker players to harness the power of Neteller. Neteller is a money funding service that allows players to load their account via a variety of methods, credit/debit cards included. Once funds are deposited into their Neteller account, players can then instantly transfer funds over to their poker account. Notably, Neteller was among the most popular funding vehicles prior to the passage of the UIGEA in 2006. Its return to US markets follows a more than seven year hiatus. In an interview with Pokerfuse, Caesars Vice President of Corporate Communications Seth Palansky stated, It’s the PayPal for the gaming set so to speak, and we think it will help folks, in particular anyone who has had trouble depositing with credit cards . 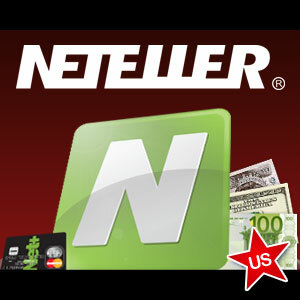 Players who sign up for a Neteller account will receive a Net+ card in the mail. The card functions similarly to a prepaid debit card, except that it is can only be used for purchases where Discover is accepted and ATM withdrawals are limited to machines baring the NYCE or Pulse insignias. Neteller is certainly not a catch-all solution to Party / Borgata’s payment processing woes. Like with PayPal, players using Neteller will be hit with a barrage of hidden fees, and while most of them are nominal, these fees are typically not associated with more traditional depositing options, such as ACH. Additionally, players that deposit using Neteller will be forced to go through a seemingly unnecessary middleman, slightly prolonging the funding process. But that’s still better than not being able to make a deposit at all. WSOP and 888 currently only offer Neteller as a depositing option. 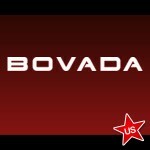 It is unknown whether or not players on Borgata’s three gaming sites will be permitted to withdraw funds to their Neteller account. What is known is that Optimal Payments and Neteller plan on pursuing additional opportunities within the US’s regulated gaming market.